The Health Office is located on the attendance side of the office. New State Law: Tdap is required for all 7th and 8th grade students enrolled. It must be on or after the 7th birthday. We ask families to help us ensure all student records are up to date for their children. California Law now permits the self-administration of the Epi-Pen and asthma inhalers only. All other medications must be kept in the health office. Students MAY NOT carry any over-the-counter medications, they must be kept in the Health Office along with a Medication Authorization Form (located at the bottom of page) signed by both a doctor and the parent or guardian. The following guidelines have been established to provide a safe school environment that is conducive to learning and ensure student safety and the prevention of student injury. Please refer to the following guidelines to determine if your child’s needs would be best met by coming to school or staying at home. 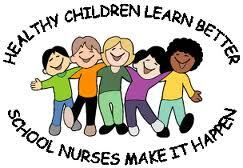 All students benefit from a healthy classroom environment and are most successful when rested and feeling good. Thank you for your assistance.